Accidental prescription drug overdose deaths now outnumber those killed each year in car crashes in Washington. As states around the country grapple with the continuing epidemic of surging opiate abuse, our state has finally decided to fund a possible solution: simply track each prescription doled out. Health care providers and pharmacies who dispense pain medications like oxycodone and hydrocodone will, starting Jan. 1, 2012, input each prescription into a secure database. As it grows, it will begin to reveal each patients’ use — and potential misuse of the drugs, which can be so effective for pain but also addictive. The law behind the database was passed in 2007 but its implementation wasn’t funded until now. The providers can use the information to identify such misuse and recommend chemical dependency treatment, according to the state’s Department of Health. 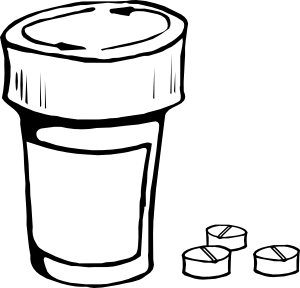 Another feature of the database is the ability to identify dangerous drug interactions. I suppose, like any policy tool, there are pitfalls to its effectiveness. People addicted to opiates might attempt to have someone else get them the drugs, or they could attempt to use fake identification. But ultimately, it could significantly help identify abusers of prescription drugs and has been successful elsewhere. I’m curious if anyone will find it an intrusion of people’s privacy. The policy is a similar to a federal database that tracks customer’s purchases of pseudoephedrine, the key ingredient in home-cooked meth. But I’ve not heard much in the way of complaints about that database. How do you, dear readers, believe it could change the prescription abuse landscape? And do you think it too intrusive? The law behind the database permits heath care providers, patients, law enforcement to view prescription records. For more information from the state’s Department of Health on the program and the law, click here.